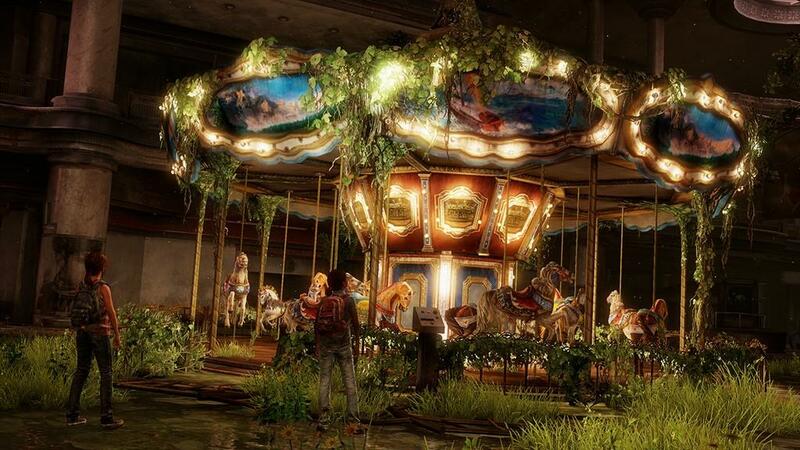 Honestly when I finished The Last of Us, the last thing I wanted was more add-ons to the story. I had played my way through one of the most emotionally gripping games I have experienced and I thought further story, or even an immediate second playthrough, would tarnish that sense of weight I felt as I put the controller down to let the credits roll. So, let me get this out of the way at the very beginning: I was dead wrong. Left Behind places you in the shoes of Ellie in two distant, yet horribly similar experiences in her life. As you’ve probably heard, the DLC is a prequel, sharing one of the most intimate and important relationships in Ellie’s life before Joel. Ellie and Riley are two best friends who have never known a life outside of the quarantine zones and clicking monsters we’ve seen from the original story. But it also cuts to a point in time we were left to just speculate about until now. Starting off at a familiar cutscene where Joel falls and impales himself on an exposed pipe, the game actually puts you in charge of finding the supplies necessary to save a gravely wounded Joel. 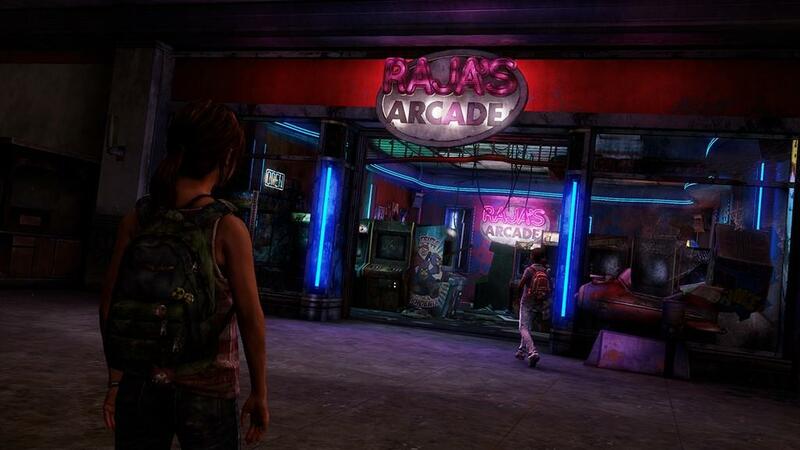 Of course nothing in The Last of Us is ever as simple as it seems. Walking through the ruins of a Colorado mall, Ellie finds all the same horrors she found with her father-figure partner, only now you are on your own. It leaves you with a further feeling of dread than was even present in the original title. You have all the same weapons, item crafting abilities, and (granted you aren’t on survivor mode) you special hearing to “see” through walls. The sense of impending doom comes from the character you are playing. Despite all of the same combat scenarios as before, I never once forgot who I was playing as, or that I was completely alone. Infected clicked and jerked around in search of their next attack and dark, quiet rooms kept me on edge despite nothing happening. 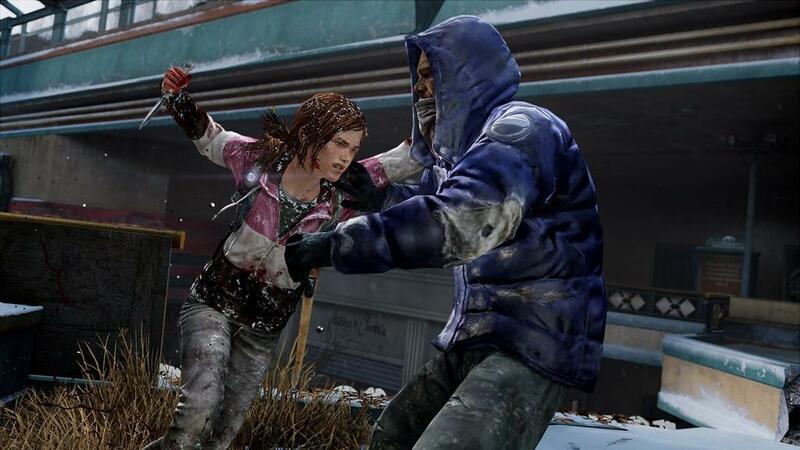 There are a few moments where enemies spawn after events or a passing a certain threshold in the game that may make you roll your eyes a bit, however, and since Ellie has a knife that acts as a non-breakable shiv, sneaking behind enemies proves more fruitful now than before with very little supplies. The other cut-in-and-out storyline in the game has no such encounters. You have no weapons, you have no real objectives as a matter of fact. You are in a mall near your quarantine zone in Boston, where you are tasked with simply hanging out with your friend Riley. Granted, there are places to go to trigger cutscenes or keep the story moving, but the game does a good job of reminding you that these are two pre-teens hanging out via childish banter before bringing you back down to the reality. The sad part is that they have been exposed to so much already they could never truly act like kids. It acts as a nice counterpoint to all the gore and fright in the story taking place in middle of the previous campaign, even making you forget for short stints that you already know this won’t end well. Without spoiling too much, I’ll say this part is definitely the meat of the DLC, although I can see why they would elaborate on the Ellie taking care of Joel scenario to really tie the emotions together. The encounters that take place when you are alone in Colorado start out fairly normal, but escalate when humans and infected occupy the same space. 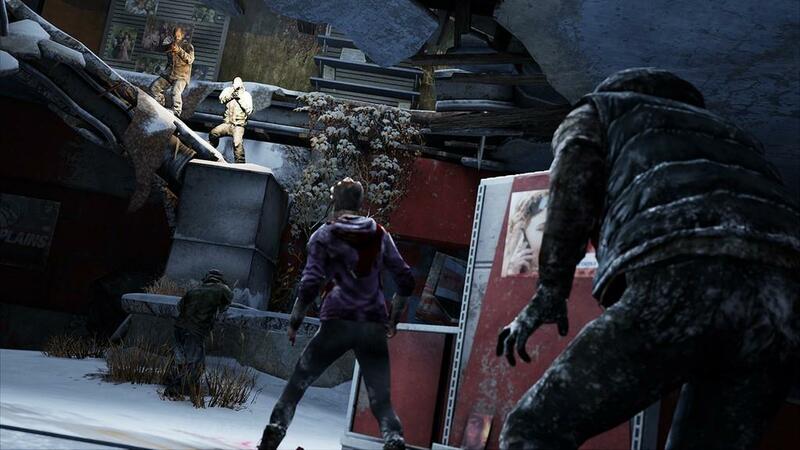 Still hunting Joel and Ellie, marauders will pop up a few times in your short time with the DLC. The cool part about this is the mixed ones. There seem to be a few options for finishing the sections but the most fun by far is throwing loud projectiles near humans and watching the fight between the two factions. It also doesn’t hurt that it usually about halves the enemies you have to kill. 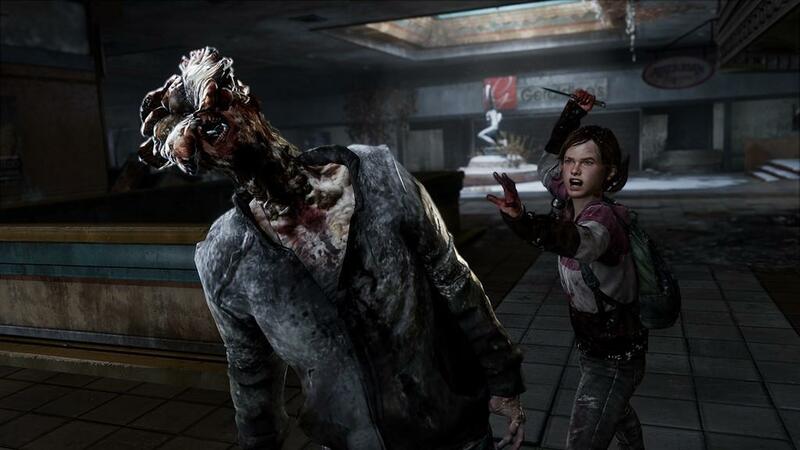 An answer is even provided to the most important question raised in the original campaign: Where did Ellie get her bow from? The encounters in the Joel sections actually do get a bit tiring, especially a rather lengthy one towards the end that kind of seem thrown in for a good final “test your skills” scenario. Despite that, the entire add-on is a real triumph. For a game that I thought didn’t need DLC in the first place, I was pleasantly surprised and more by the depth of the character development and how much I cared about this fairly short journey I was on. It’s a bittersweet story that fans of the game owe it to themselves to play. 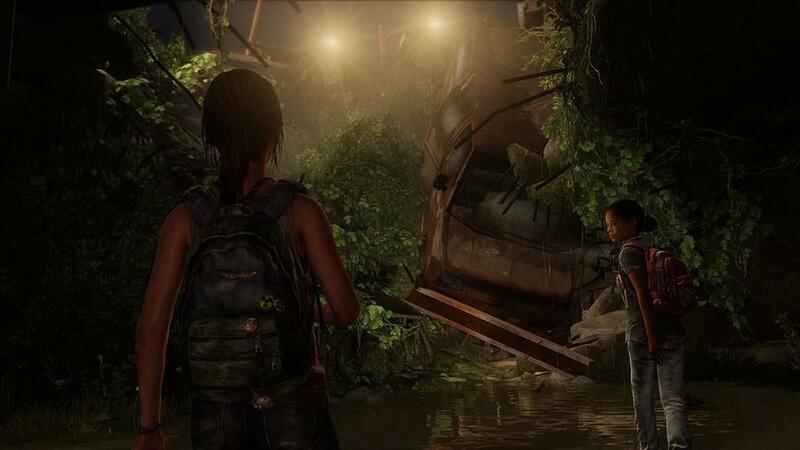 A fleshed out Ellie story that brings you right back into the rich, dismal world Naughty Dog has crafted so thoroughly, The Last of Us: Left Behind is the DLC fans of the original never even knew they wanted.